Colourful, surprising and full of information, the I Wonder Why books have set thousands of young minds buzzing. 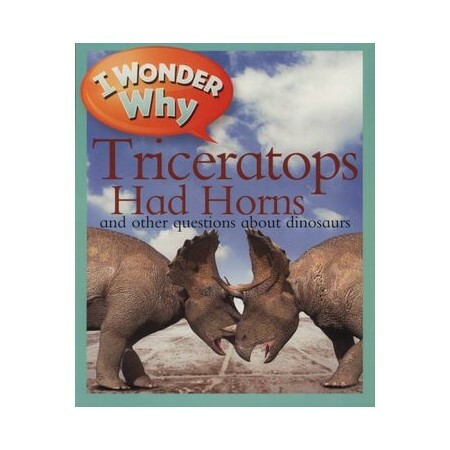 I Wonder Why Triceratops Had Horns is the perfect introduction to dinosaurs, featuring big dinosaurs, small dinosaurs, egg-eating dinosaurs and much more. What do you want to find out? Clear, lively text answers all those tricky questions about how the world works, while friendly, funny cartoons add interest. With more than 35 titles across a mind-expanding range of subjects, this is a series guaranteed to amaze and amuse.